Today is day 4 of #NaPoWriMo, and it is the first day of this writing blitz that I have struggled. The prompt we were given was to write a poem about love without using the word love, and to avoid making our poem sound like a Hallmark card. I spent a few hours this morning thinking about how I could approach this. I drew a blank. 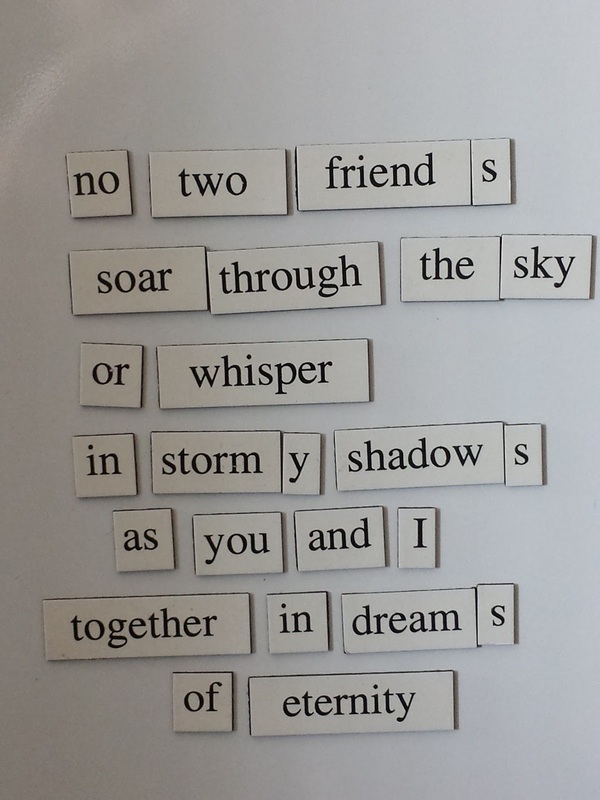 Finally I broke out my magnetic poetry board so that I could play with words, and start putting stuff together. And thus, today's poem is off of that board. I am quite pleased with the outcome. I hope you enjoy it. I like it! Magenetic poetry to the rescue!